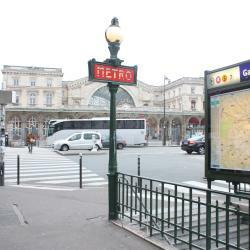 Looking for hotels near Gare du Nord? Located in Paris, the hotel Magenta 38 is 656 feet from Jacques Bonsergent Metro Station, which leads directly to Place de la Bastille. The location to the metro and the rest of Paris was fantastic and safe and easy to use. 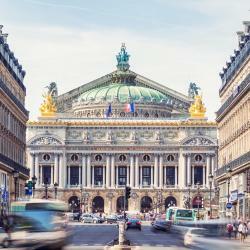 Hotel Peyris Opera is centrally located between Opéra Garnier and the Gare du Nord and Gare de l’Est Train Stations. The stay was great! Excellent location and super helpful staff! Providing free WiFi and a bar, Résidence du Pré offers accommodations in Paris, 0.6 mi from Sacré-Coeur. All rooms boast a flat-screen TV with satellite channels and a private bathroom. The staff was incredibly helpful and kind! 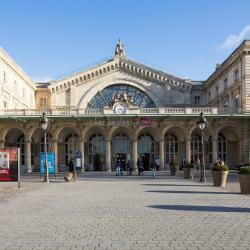 Hotels with great access to Gare du Nord! This designer hotel is in the center of Paris, less than half a mile from Metro Gare du Nord and Gare d’Est. 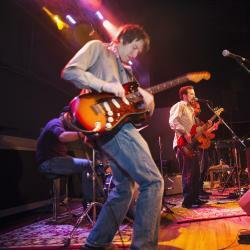 9Hotel offers modern air conditioned rooms with a flat-screen TV with satellite channels. Amazing stay. Terrific staff, excellent location, couldn't ask for more. In the 10th district of Paris, Best Western Premier Faubourg 88 is decorated in an urban, chic style and has an interior courtyard, bar and 24-hour front desk. Montmarte is just a 15-minute walk away.... Bed was very comfortable ...bathroom was amazing! Located in central Paris, the Hotel Montholon is a family-run, 3-star hotel, just a 10-minute walk from the Galeries Lafayette and the Palais Garnier. Great hotel in a superb location. Simple yet chic and always spotlessly clean. 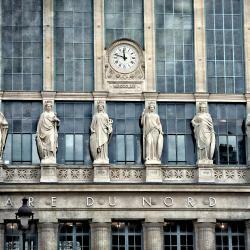 People are talking about Gare du Nord! Explore guest hotel reviews featuring "Gare du Nord"
+Both Gare du Nord (Paris-Nord) and Gare de l'Est (Paris-Est, Paris East) are within 10 min walking distance +The apartment was build before 1900, but in such a good shape, and so well kept! +Nicely furnished. +The breakfast was equally great: Good selection, and every day different treats. I remember one cake especially which was not too sweet and so well done. Very good coffee, cheese and eggs too. +Everything very clean. +2 bathrooms (1 extra toilet) for 4 apartments is well enough. Both were super clean. Quiet location yet close to great shops, cafés and restaurants on la Rue des Martyrs. The room was comfortable and quirky. Bottled water was left in the room as were lovely Fragonard toiletries in the bathroom. 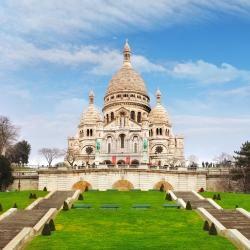 The hotel is also within walking distance of Montmartre, Opéra and la Gare du Nord. Métro stations were also close by. Reception staff were patient, helpful and friendly. 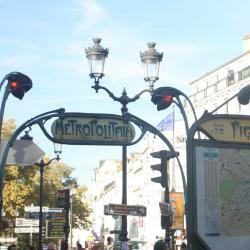 The hostel is in a great location; it's very close to Gare du Nord and also to the Sacre Coeur. When I visited years ago, this area felt sketchy but now it seems safe enough. The staff were friendly and facilities were great. The room is an average size for Paris and is a good value. Excellent location, silence inside, street full of life outside. it is possible to eat something also late evening and interact with people sitting in the restaurants near the hotel. Not so long distance from Central Station (Gare du Nord). 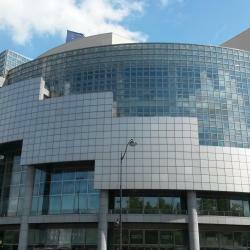 Location is great, very close to gare du nord and metro web and very nice environment around. Rooms are not noisy at nights, even most of them are next to the street. For both business and leisure trips this hotel can make you satisfied. The hotel is very conveniently located across the street from Gare du Nord. There are plenty of neighborhood restaurants and other supermarkets/shops. The hotel itself is small but comfortable and provides good value for money. 10th near the Gare du Nord is a lively quartier with good cafes and lively atmosphere but also a good walk to more central p[arts.